So to this singularity: the wine is tending tawny in the glass, deep blush colour, leggy. 14%. Pleasing bouquet – thyme, dark roses, black plums, cherries, vanilla, spice, oak. Strong dark plums in the mouth, bright acidity, balanced with tannins at the fore. The wine is lean, taut, spicy on the back palate. Mouthwatering, even. Really interesting that I can see the wild thyme notes that some say characterise Central Otago pinots. Interesting also that I served the wine at first a bit cold from the cellar. It really improved with walking up closer to room temp. 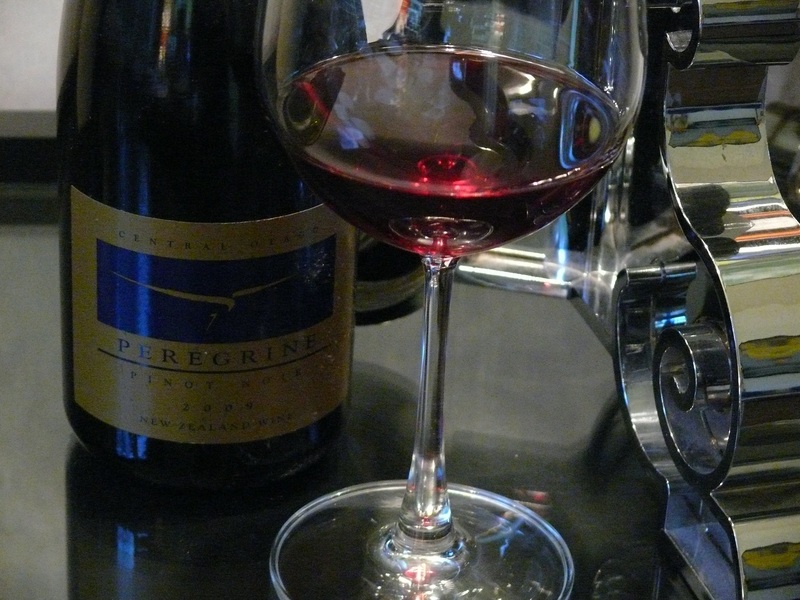 This entry was tagged $$$, 14%, 2009, 4, Central Otago, From the Cellar, Peregrine, Pinot Noir, Wine of New Zealand. Bookmark the permalink.